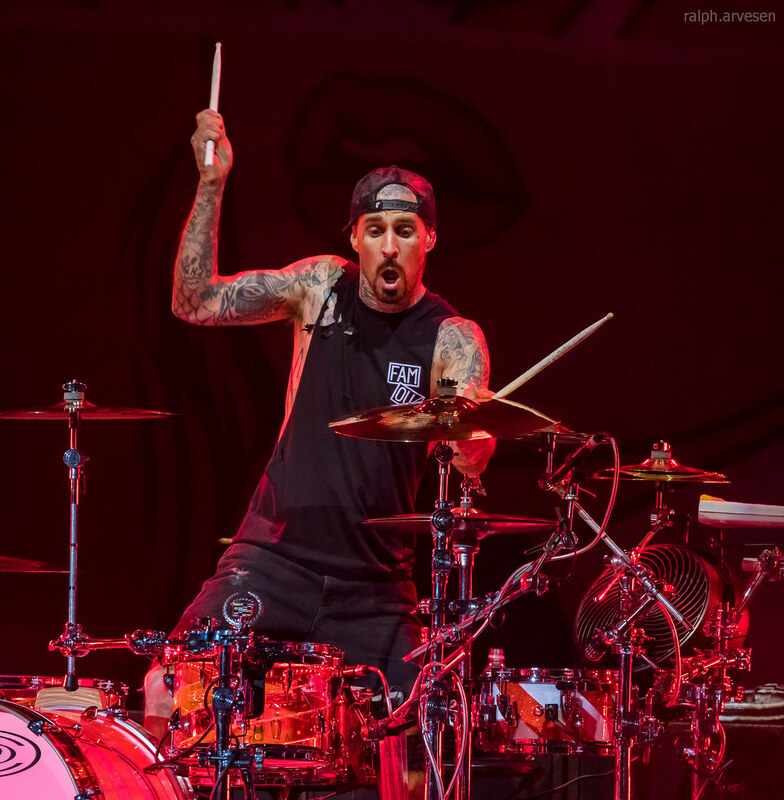 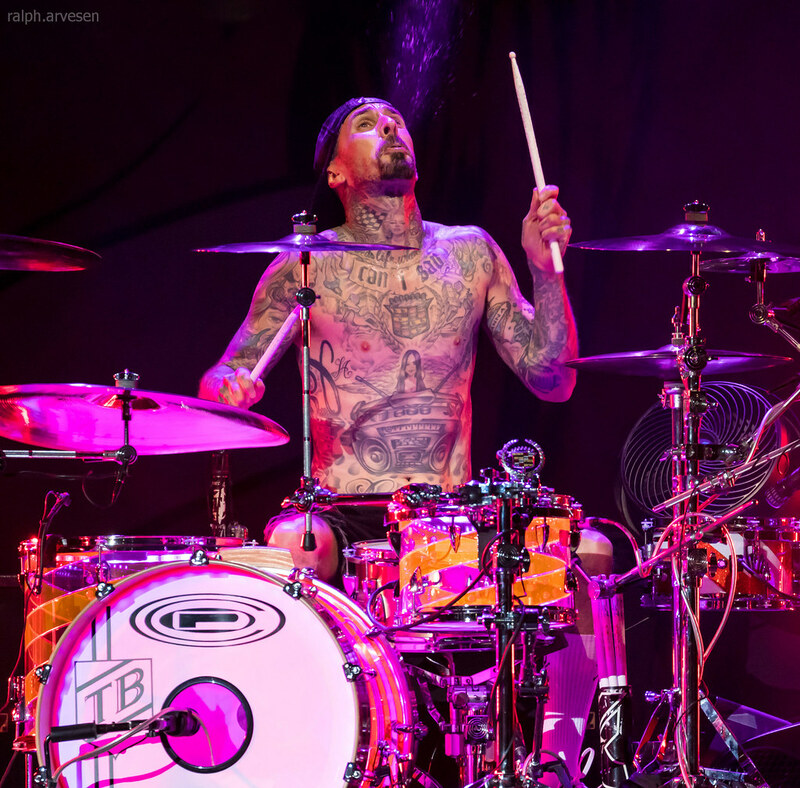 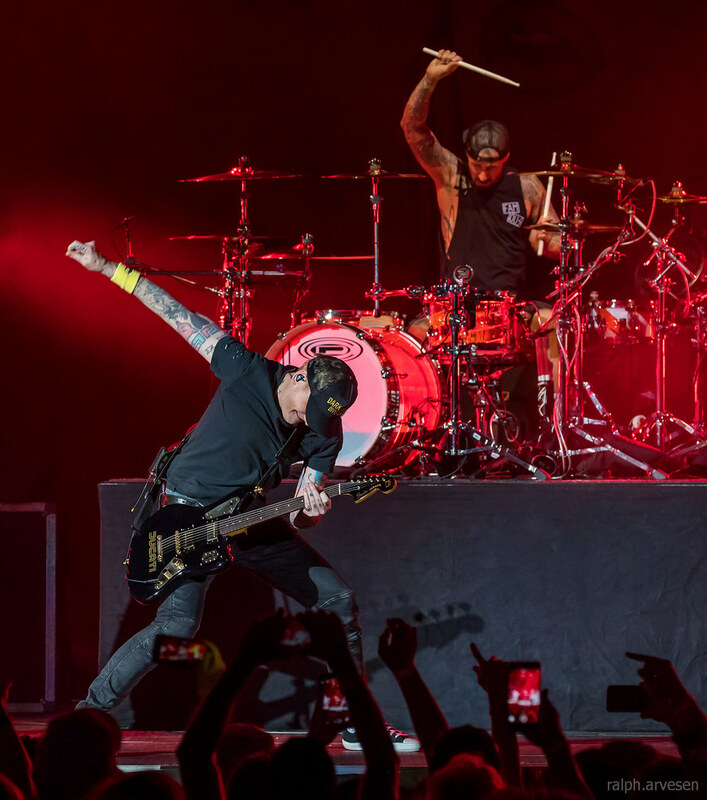 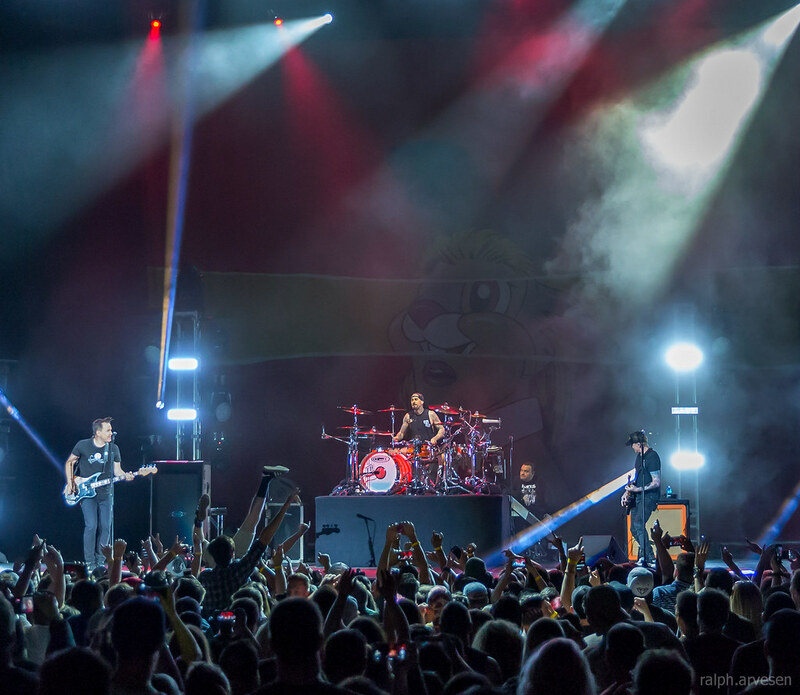 blink-182 performing at the Austin360 Amphitheater in Austin, Texas on March 22, 2017, with Mark Hoppus, Travis Barker, and Matt Skiba. 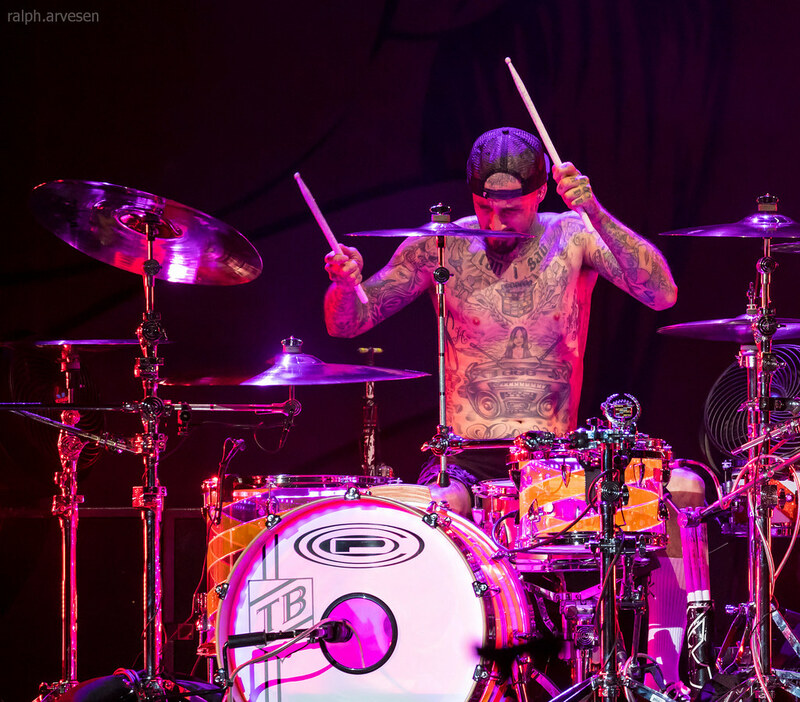 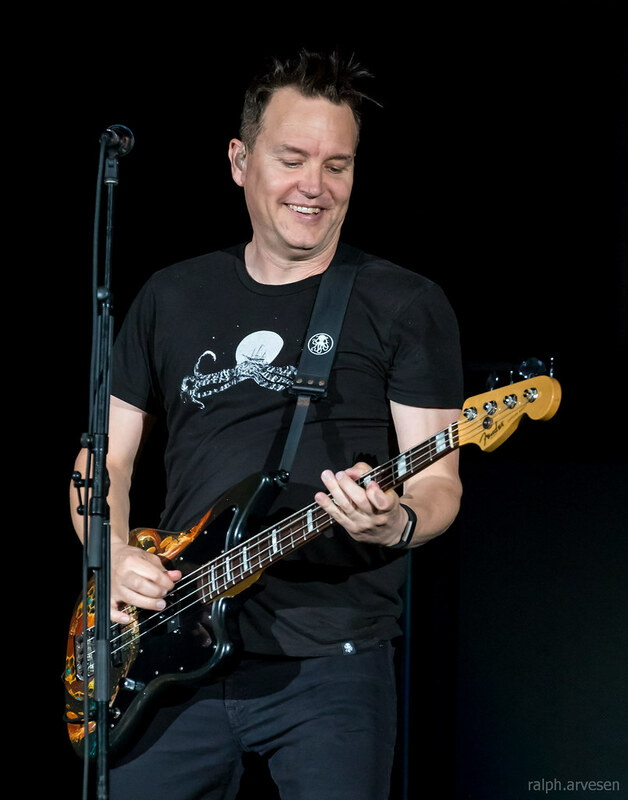 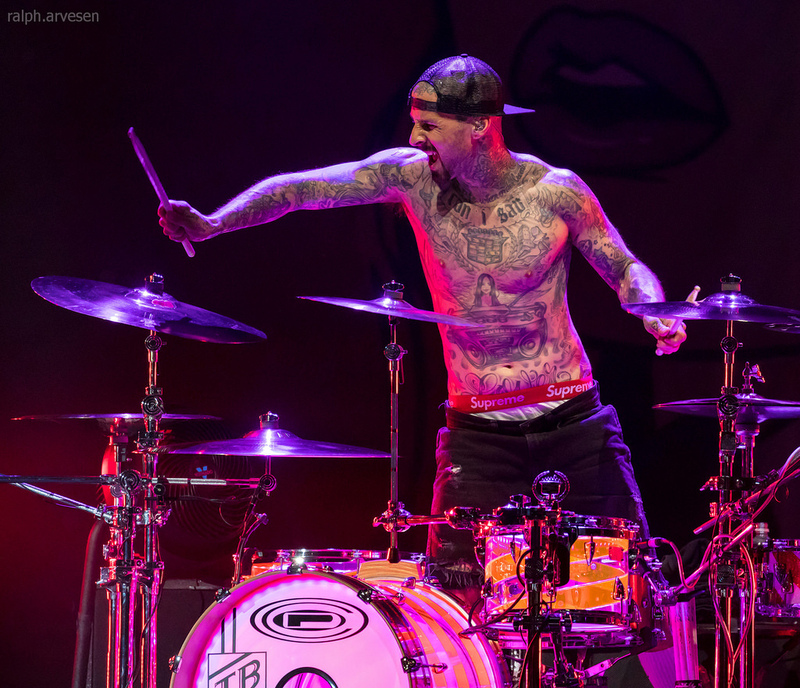 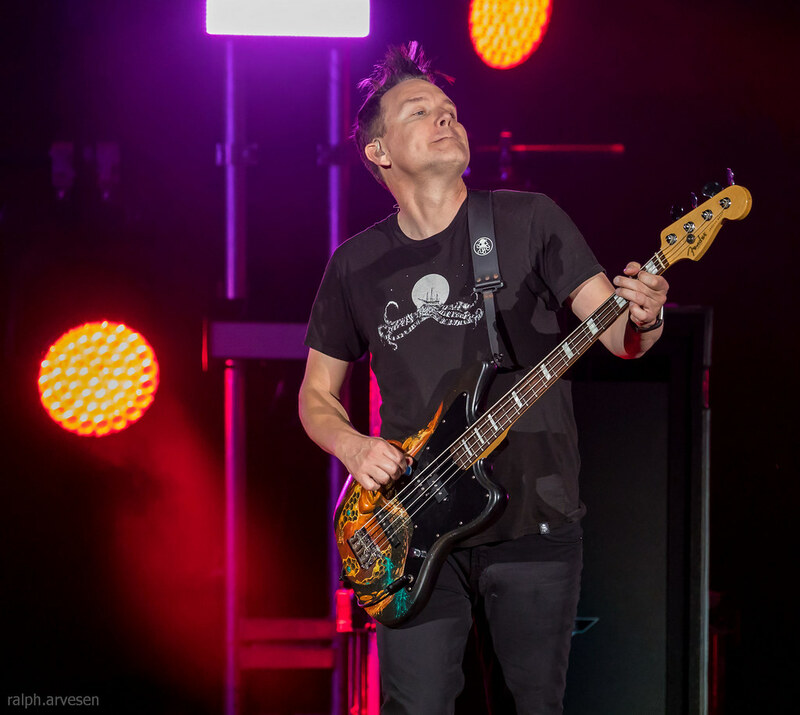 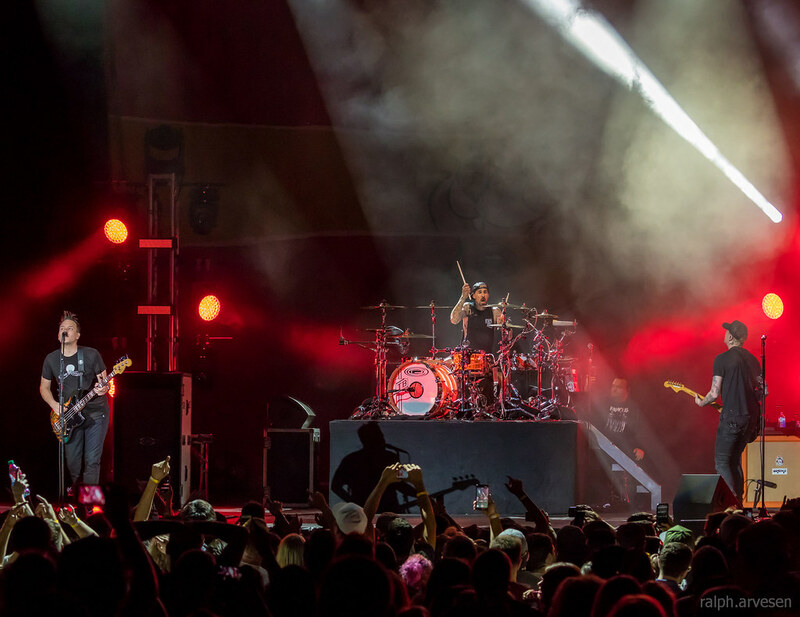 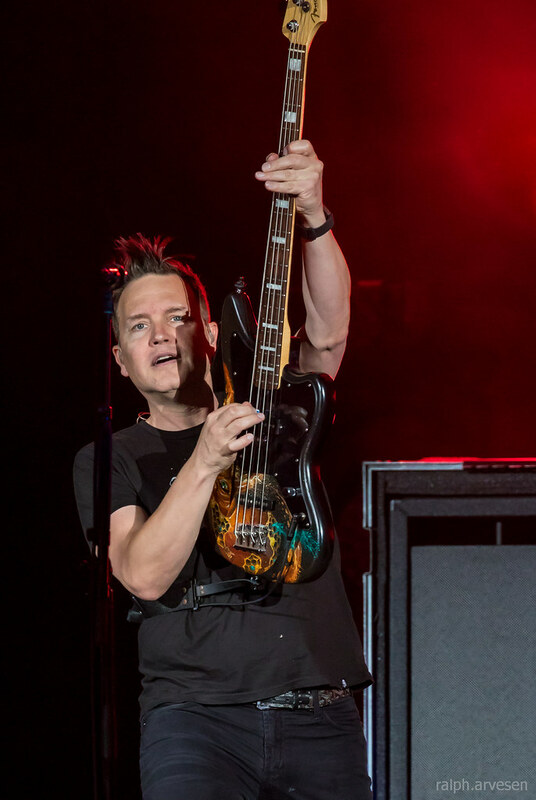 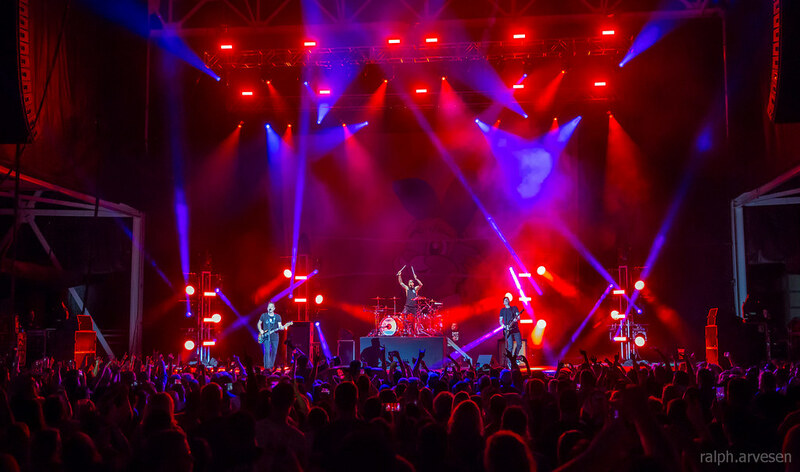 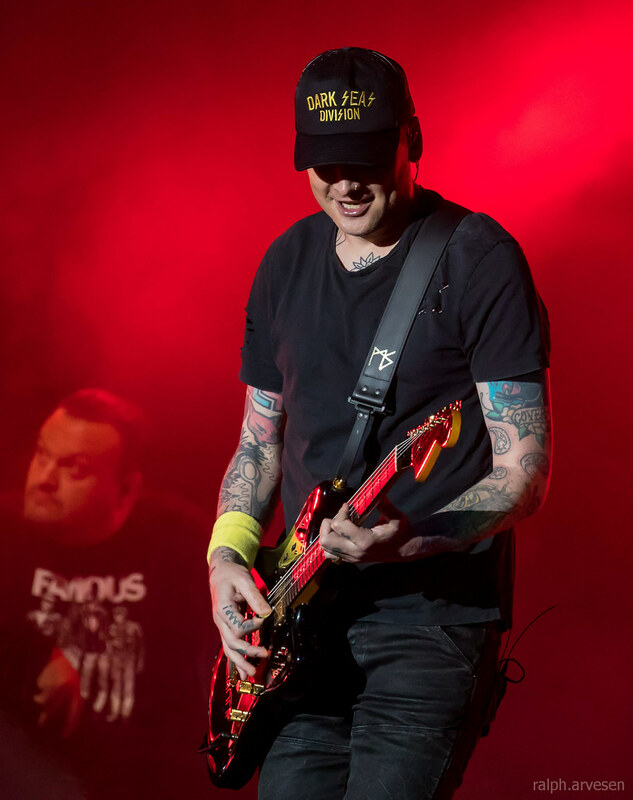 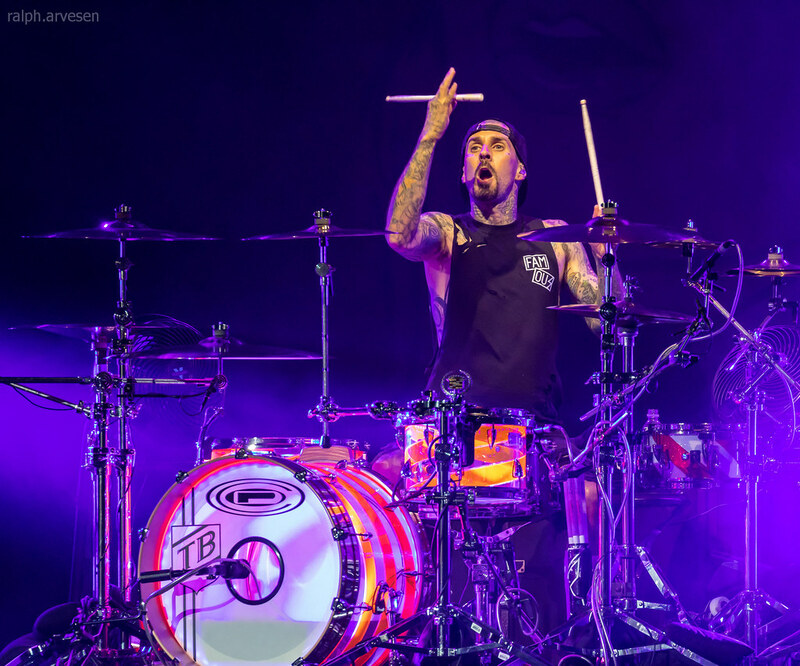 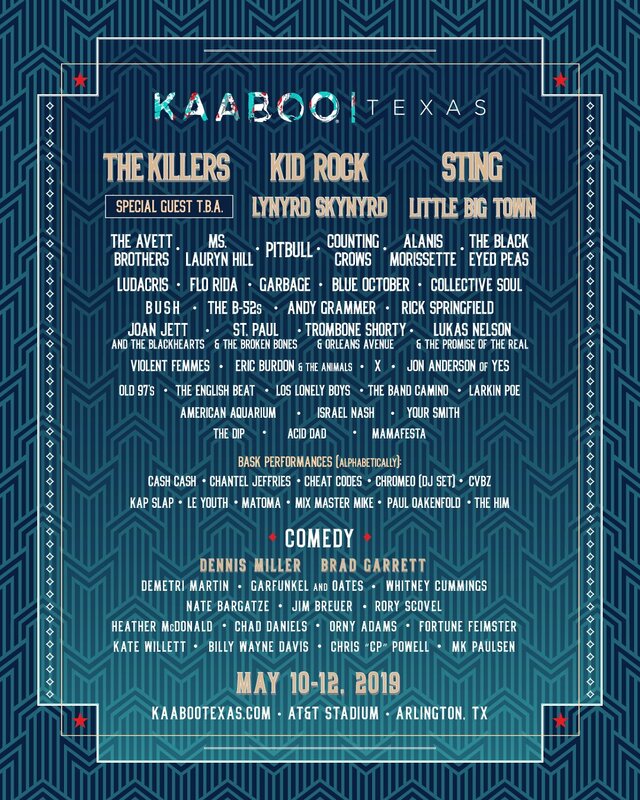 blink-182 was the main act at the Austin360 Amphitheater with guests The Naked and Famous and Makeout. 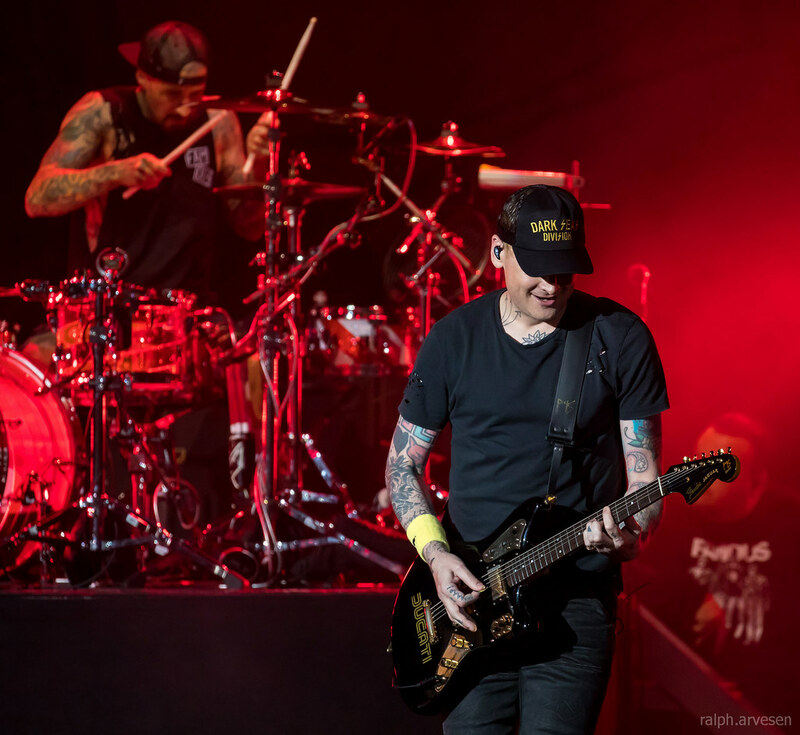 The tour continues across the United States and Europe with the last show at The 02 Arena in London, England on July 20, 2017.